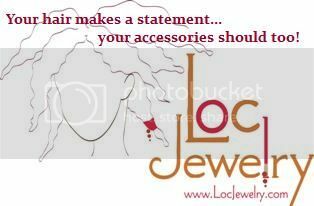 I started loc'ing 4 in a half yrs ago in 2006. Its been something that I wanted to do for quite some times but chosen to wait until I was fully ready. since I had them its been by far my favorite and the easiest hairstyle for me to deal with. As far as products I use for my loc's, I found the less I use the better, I like to make my own concoction usually. I like to massage a mixture of avocado and olive oil to my scalp. Keeping it real simple seems to work best for my hair. I touch-up my loc's about once a month, I don't over-twist them which is the key to keeping it thick and strong allowing room for them to spread, breathe and express itself. I love being natural because of how beautiful it looks and feels, and the freedom to be able to tolerate rain, humidity...just being in overall harmony with nature and myself. I love the bonding that I have with my hair, the ability to love, beautify and care for it myself. 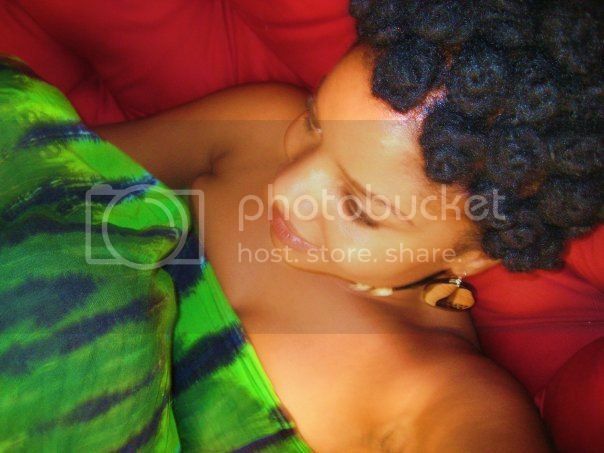 I love to let my locs express its own individuality. Gorgeous!!! 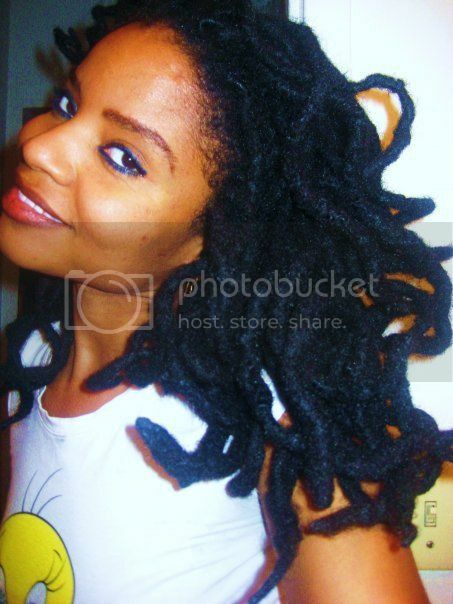 Her locs are what dreams (my dreams) are made of! Agree with Je'Kendria! Lush, beautiful and uniquely fabulous head of hair! 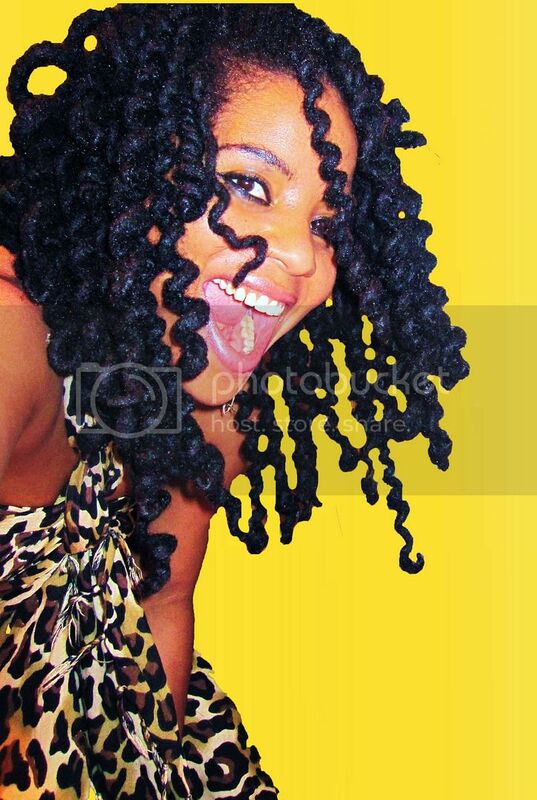 Beautiful locs! 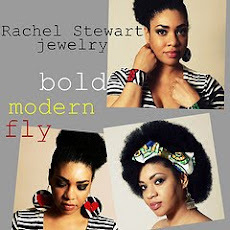 I love her bantu knots, as well. Her hair just looks so healthy! Beautiful! I just started my comb coils last week. So excited to have my hair as long and as lush! Lush is the perfect word to describe Ima's locks. Thanks for the feature! They are so thick and gorgeous. I love them. I wish mine were that thick.